This free WordPress plugin replaces embedded Youtube and Vimeo videos with a clickable preview image. That improves page load times and increases your Google PageSpeed Score. 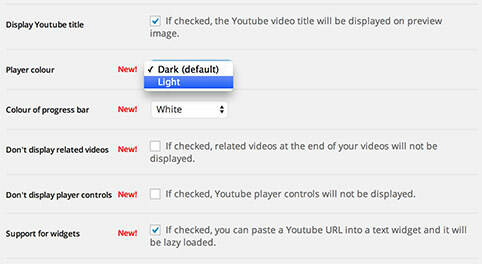 Lazy Load for Videos allows you to customise your video player. For example, you can display the video’s title on your preview image, change the Youtube player colour and remove related videos. With a growing number of downloads new features will be developed and added!